My Namibia is a place where dreams come true. Not in the ‘click your heels ruby slippers off to Oz’ kind of way, but in the years of hard work, isolation, sweat, grit in your teeth, satisfying way. I have been lucky because dirty, tenuous, tenacious work has taken me to extraordinary places, introduced me to exceptional people and provided acceptance and opportunities on a scale that I could never have imagined. My Namibia could happen only in Namibia. Nearly thirty years ago, when I first came to Namibia, I was lucky enough to start my journey in the Skeleton Coast Park with humble, acclaimed filmmakers and photographers, Jen and the late Des Bartlett. I was an aspiring filmmaker and they generously shared their decades of experience in what it takes to make a wildlife documentary film. For them, there were no shortcuts to capturing on film the essence of a place and its special inhabitants, even if it meant spending 17 years in the desert, and there was no shortage of passion for telling stories from the wild that not only revealed something unique, but that were also truthful. Their approach was entrenched in the belief that what’s happening in the natural world is best left honest, undistilled and unadorned. It doesn’t need hype or gore or swashbuckling storytellers. Nature is enough. And then nature can be so much more. In the confines of the Kuiseb River I met my husband, threw my sleeping bag in the sand every night for nearly four years and gained the unconditional acceptance of a troop of baboons. From Etosha National Park where we raised our son and where I met bearded, bright, hard drinking and hardworking allies in conservation, this is my Namibia. It was small and vast, mine and so much larger, all at the same time. I love the space, the isolation that is found in Namibia. It allows for deeper breathing, deeper thoughts. It penetrates the pores and inspires dreams, the ones that fill your nights and guide your days. But I also know that this can’t be taken for granted. The protection of this incredible space and the natural wonders it holds is mandated by a government that has made conservation a priority and by individuals who work tirelessly, fearlessly to protect it. Zoom in, point to a place on the map of Namibia, and, at any given time, a singular name can be put to its past, present and future. Pull out, and it’s like pixels filling a scene as the individuals make up a collective. Because although we may be isolated, we are not alone. Motley, innovative, imperfect, and passionate, there are those that support the lone rangers in the field by riding for rhinos, visiting lodges that provide sanctuary for the big cats, supporting farmers that strive to live with wildlife even when their livelihoods are at stake. 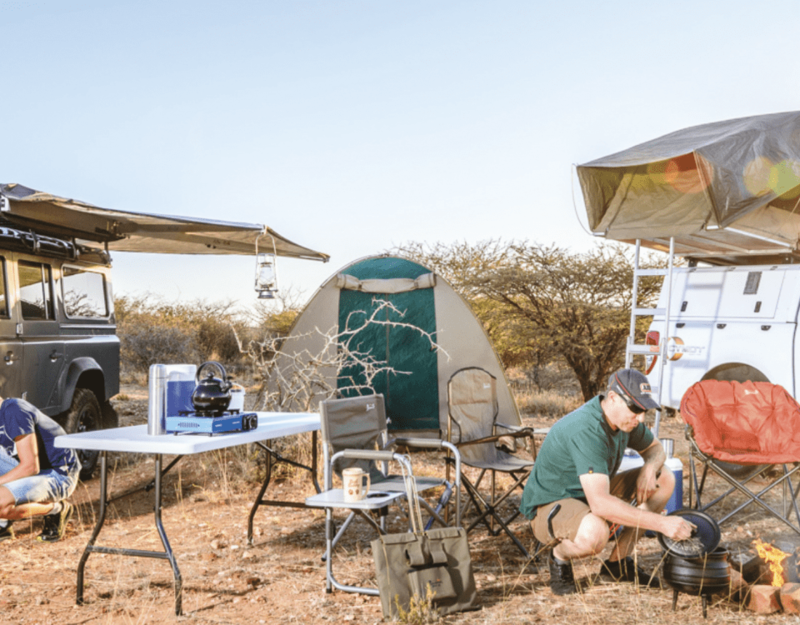 On a national scale, there are those who have banded together in conservancies to manage and conserve approximately 19 percent of the land in this country, selflessly providing space for wildlife to roam, and experiences of a lifetime for those who visit these areas. Along with the space, solitude and time to explore the mysteries found in nature, these are the reasons why I was drawn to Namibia and why I remain. I think it’s also why people from all over the world visit Namibia, not once or twice, but dozens of times. Within this wild, wonderful, protected, spectacular country there is a place for all of us to stand alone and to stand together as we reach higher, dream bigger, and aspire for a better future. How do I get hold of your Glossy magazine, please? I live in Pretoria East. Let us know if you were successful in finding a copy, otherwise we will gladly help locate one or send you one via mail.